The RHP consists of four individual Country Housing Projects, one per Partner Country, which are implemented by the Partner Countries themselves through national structures that benefit from a strong capacity building component thanks to the Technical Assistance financed by the Commission and channeled through and managed by the CEB. Contrary to most other housing projects in the region, the RHP is not just about providing housing, but it is also about fostering the institutional capacity of the Partner Countries to deliver housing solutions. Thanks to this enhanced capacity, the Partner Countries should be in a better position to address the housing needs not just of RHP beneficiaries but of their populations at large. RHP also, thanks to its regional character, contributes to improving neighbourly relations thereby contributing to security and stability in the region. RHP is built upon an equal partnership with the four Partner Countries who are in charge of implementing the Programme. As such, it uses the Partner Countries’ national structures and systems, which benefit from a strong capacity development component. Each Partner Country has appointed a Lead Institution which is in charge of the overall programming of the CHP, including coordination with the local authorities and other stakeholders as well as the selection of beneficiaries who will be provided with durable housing solutions. In addition, each Partner Country has set up a Project Implementation Unit (PIU) which is in charge of, among other things, contract management and procurement to ensure an efficient CHP implementation. These implementing structures have complete ownership of their Country Housing Projects. They have prepared detailed feasibility reports outlining their comprehensive implementation plans for the overall duration of the RHP. Likewise, the RHP implementing institutions in each Partner Country define their Technical Assistance needs on a yearly basis, in close coordination with the CEB. RHP implementing structures in the Partner Countries were established and operational in 2013. 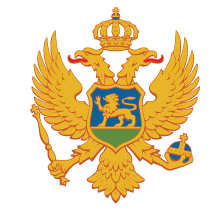 CEB regularly verifies the systems, policies and practices that the Partner Countries’ PIUs and Lead Institutions use to implement the respective Country Housing Projects, in order to strengthen these institutions where necessary, and to ensure that they have the required resources and procedures in place. This verification process resulted in a series of requirements in the areas of structure, functional competencies and implementation capacity, including financial management and accounting, procurement, risk management, reporting and monitoring, which had to be fulfilled prior to the disbursement of any grants. The legal framework in all four countries is now in place and all Framework Agreements have been signed between each Partner Country and the CEB and ratified (where necessary). The specific conditions governing the financing of each sub-project are defined in the Grant Agreements; the first Grant Agreements were signed during the first half of 2014. RHP is primarily a donor funded programme. However, the Partner Countries also participate with national contributions. The RHP is supported by the European Commission as its main donor with a total pledge of EUR 234 million. Most of these funds are expected to be disbursed as investment grants for the Country Housing Projects. However, the contribution from the European Commission is also used to fund, inter alia, the Technical Assistance, the financial support to Partner Country implementing structures as well as part of CEB’s RHP management costs. Other donors include the USA, Germany, Norway, Italy, Switzerland, Denmark, Turkey, Luxembourg, Spain, Cyprus, Czech Republic, Hungary, Romania and Slovak Republic. RHP Donors also closely monitor the progress of the RHP, in particular within the framework of the Technical Committee. UNHCR and OSCE have been tasked with helping to identify eligible beneficiaries, monitoring their selection and monitoring that they receive adequate protection. As such, those institutions play a crucial role in ensuring that the RHP effectively provides sustainable housing solutions to those refugees and displaced persons most in need. Finally, the European Commission, the UNHCR and the OSCE also facilitate operational coordination between all stakeholders by participating in the Regional Coordination Forum. Finance Institution, the CEB assists the Partner Countries in preparing and implementing their Country Housing Projects, including pre-appraising grant requests, disbursing grants as well as monitoring the implementation of Country Housing Projects and the use of grants disbursed from RHP Fund resources to the Partner Countries. As part of this role, the CEB also supervises the Technical Assistance, funded by the European Commission, that is being provided to the Partner Countries by a consultant. RHP Secretariat, the CEB facilitates coordination and communication between the Partner Countries, the Donors, other international stakeholders and itself, during RHP preparation and implementation phases. This role entails providing administrative support to the RHP and the RHP Fund organs as well as ensuring that the RHP receives appropriate visibility. Results-oriented: Technical Assistance is organised according to Work Packages (WP). Each WP is composed of a set of activities aimed to achieve specific results with clearly defined outputs. The activities are divided into Country WPs, which define and outline the support identified by the Lead Institutions and the PIUs in order to effectively carry out sub-project implementation and; Thematic WPs, which concern the needs related to the production of operational and implementation manuals and standardised documents to assist the PCs with sub-project planning, implementation, monitoring and reporting. This area of work also includes support to Partner Countries in financial management and accounting. Demand-driven and tailor-made: Given that the scope of the each Country Housing Project as well as the capacities of the institutions tasked with their implementation vary from country to country, this approach ensures that the Technical Assistance takes into account the needs and specificities of each Partner Country. In order to ensure this, the Partner Countries are asked to draft Terms of Reference covering a period of 6-12 months, detailing their estimated support needs. Partner Countries’ ownership: CEB strives to reinforce the local ownership of the RHP by the Partner Countries as one of the key factors that will ensure commitment and sustainability of the RHP. One of the efforts in facilitating this process is to ensure the participatory approach of the Partner Countries in identification and implementation of the TA designed to build their capacities for RHP implementation. As the high coordinating body of the RHP, the RHP Steering Committee has both strategic and supervision tasks to provide strategic guidance, coordinate activities under the RHP, review the effectiveness and sustainability of the activities financed with the RHP Fund’s resources and oversee the RHP Fund's operations and the progress of the RHP. 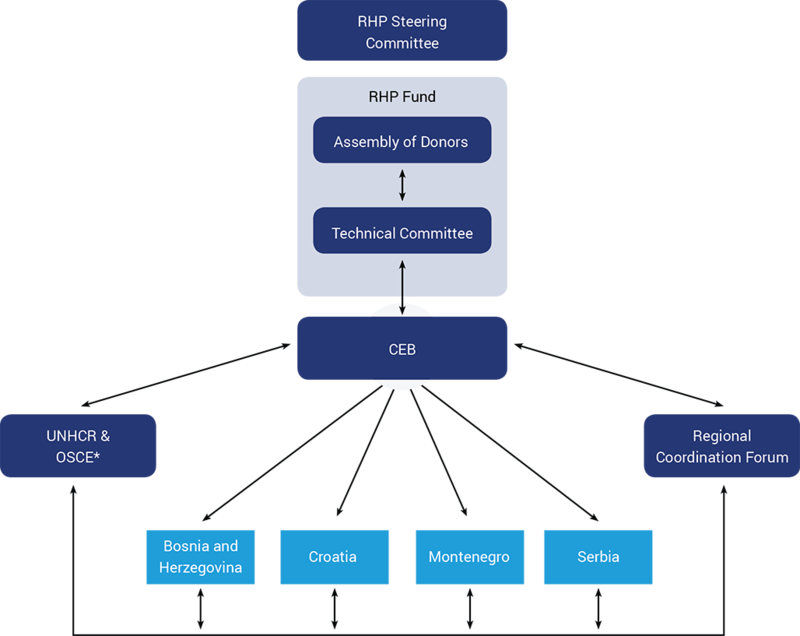 Assembly of Donors is the RHP Fund’s supreme organ with following responsibilities: approve the grant requests submitted by the Technical Committee and decide on other grant-related issues, approve the annual financial statements of the RHP Fund and monitor the payment of contributions to the RHP Fund as well as RHP Fund financial flows. The second body of the governance scheme of the RHP Fund is the Technical Committee. Its role is to screen and assess any Partner Country request for Grants, submit Grant Requests for approval to the Assembly of Donors, prepare Grant Request Assessment Criteria and discuss implementation related issues, especially related to the progress of the RHP. CEB’s role within the RHP is threefold: it acts as the Fund Manager, the Finance Institution and the RHP Secretariat. As Fund Manager it is responsible for managing the fund which holds contributions from Donors. As Finance Institution it assists the Partner Countries in preparing and implementing their Country Housing Projects. As RHP Secretariat, the CEB facilitates coordination between the Partner Countries, the Donors, other international stakeholders and itself, during RHP preparation and implementation phases. The Regional Coordination Forum is tasked with facilitating coordination in respect of issues related to the Sarajevo process in general, and to operational issues related to RHP preparation and implementation in particular. UNHCR and OSCE have been tasked with helping to identify eligible beneficiaries, monitoring their selection and monitoring that they receive adequate protection. As such, these institutions play a crucial role in ensuring that the RHP effectively provides sustainable housing solutions to those refugees and displaced persons most in need. -	review the effectiveness and the sustainability of the activities financed with the RHP Fund’s resources. -	oversee the RHP Fund's operations and the progress of the RHP. The RHP Steering Committee has the same chairing arrangements as the Assembly of Donors (see below). The RHP Steering Committee meets at least twice a year and held its inaugural meeting on 30 November 2012 in Paris. During this meeting, it was agreed that the RHP Steering Committee meetings would take place back to back with Assembly of Donors meetings. Within this overall governance and coordination structure, a specific governance scheme has also been set up for the RHP Fund to enable Donors to closely oversee the use of their contributions. The specific governance scheme of the RHP Fund comprises two bodies. · the CEB in its capacity as Fund Manager, having non-voting status. · monitor the payment of contributions to the RHP Fund as well as RHP Fund financial flows. The Assembly of Donors is chaired on a permanent basis by the Commission and by another Donor on an annual rotation basis. The Assembly of Donors meets at least twice a year and held its first meeting on 30 November 2012 in Paris. · the CEB in its capacity as RHP Secretariat. · discuss implementation related issues, especially related to the progress of the RHP. The EUR 5 million contribution threshold ensures that the Technical Committee remains operational by limiting the number of its members. The Technical Committee met for the first time on 26 October 2012 in Paris and meets a minimum of twice a year. To further ensure close coordination between all RHP operational stakeholders, an operational coordination organ, named the Regional Coordination Forum, has also been set up.